Why choose Avaza as a Teamwork alternative? 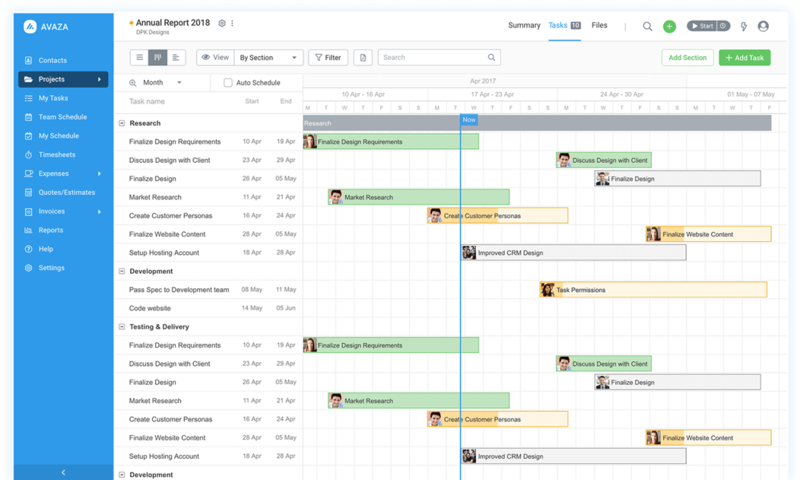 Looking for more than just task collaboration features for your growing team? Avaza provides that and much more for businesses that need an all-in-one solution. Teamwork is a project collaboration and task management software that packs quite a punch. However, for growing businesses that also need recurring invoices and expenses, or approvals for timesheets and expenses, Avaza is a better fit. Learn more about the two below. We required a system that allowed our customer contacts to approve timesheets. The email approval process was both frustrating and extremely time-consuming.